Mumbai is known for historic sites, scenic drive, shopping, nature, and theme parks. 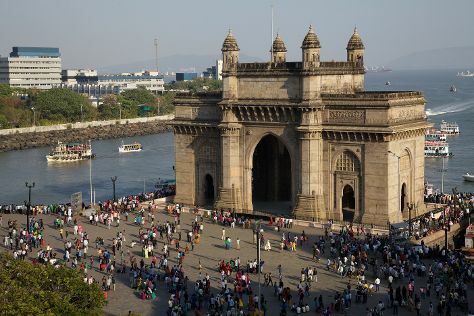 Your plan includes some of its best attractions: pause for some photo ops at Gateway of India, take an in-depth tour of Chhatrapati Shivaji Maharaj Vastu Sangrahalaya, take a memorable drive along Marine Drive, and wander the streets of Nariman Point. To see maps, ratings, where to stay, and more tourist information, refer to the Mumbai travel route planner. Pune to Mumbai is an approximately 2.5-hour car ride. You can also fly; or take a train. In June, daily temperatures in Mumbai can reach 38°C, while at night they dip to 30°C. Cap off your sightseeing on the 19th (Wed) early enough to travel to Tarkarli. Start off your visit on the 20th (Thu): take in the spiritual surroundings of Shree Shivchhatrapati Temple, tour the pleasant surroundings at Devbagh Beach, and then stroll through Achra Beach. Here are some ideas for day two: enjoy the sand and surf at Khavane Beach. To see more things to do, photos, other places to visit, and other tourist information, refer to the Tarkarli vacation app . Explore your travel options from Mumbai to Tarkarli with the Route module. Wrap up your sightseeing by early afternoon on the 21st (Fri) to allow enough time to travel back home.